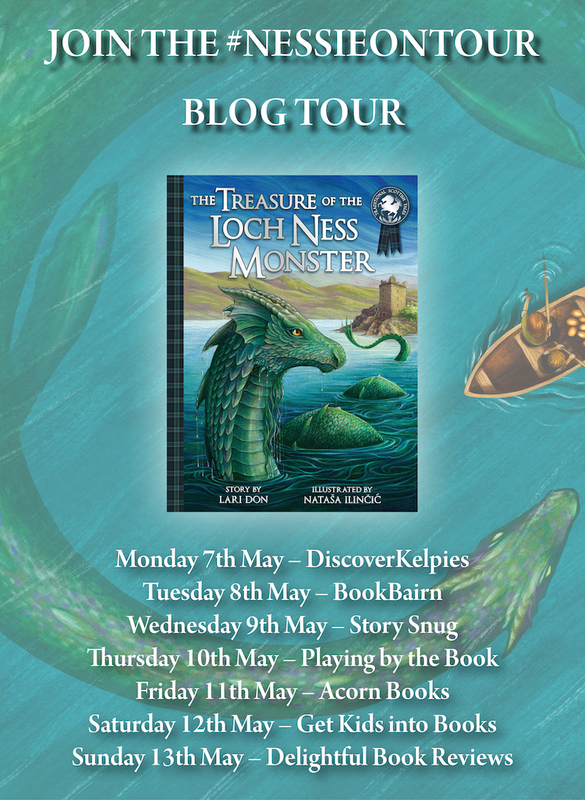 We are delighted to welcome author Lari Don to Story Snug as part of her book tour celebrating the publication of The Treasure Of The Loch Ness Monster. 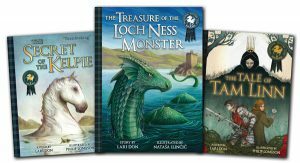 Lari’s newest picture book is a magical adventure about two children, Kenneth and Ishbel, and their search for the treasure that is rumoured to be hidden under Urquhart Castle. Thank you for visiting Story Snug Lari and congratulations on the publication of your new picture book. We find it fascinating talking to writers about their writing process and the inspirations behind their ideas. How did you become a writer? I think I’ve always been a writer! My mum says that I used to fold paper up into books and scribble on the ‘pages’ before I even went to school. So I’ve been trying to share stories longer than I’ve been able to read and write. And once I did learn to write, I didn’t really stop. When I was at primary school, I wrote plays for my cousins to perform, and at secondary school I wrote poems for the school magazine. My first proper jobs were all about words too: working in politics and in radio. 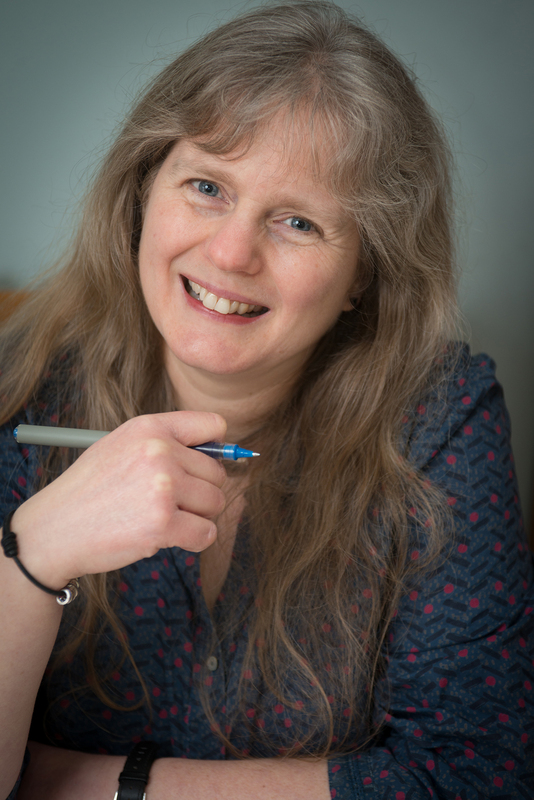 But I didn’t become an author – a published writer – until I became a mum myself and rediscovered the joy of children’s books. 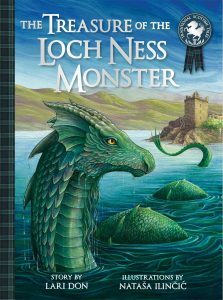 The Treasure Of The Loch Ness Monster introduced my daughter to ‘Nessie’ and led to us researching possible sightings of the monster on the Internet. Is your story inspired by an existing legend about Nessie? We think it’s wonderful that Ishbel and Kenneth’s magical adventure is inspired by an old story that they have read about Urquhart Castle and we love the way that Ishbel asserts that ‘some stories are real’. Did you do lots of research into different stories before you wrote the book? The two cousins, Ishbel and Kenneth, have very different personalities. We really admire Ishbel’s determination to solve her problem and the fact that she doesn’t let Kenneth’s sceptical comments deter her. Is the character of Ishbel based on a child that you have met? No! I never ever base characters on people that I know, mainly because I love putting my characters in danger! (That’s what makes stories exciting.) The children’s characters arose out of the situation they were in, the tension between them, and how they reacted to that. I wanted them to love and trust each other, but also to needle and niggle at each other, just like siblings and cousins sometimes do! We think that Nataša Ilinčić’s illustrations are absolutely beautiful, they’re perfect for the story. Did you discuss your vision of the story with Nataša or did she work independently? Aren’t they amazing! I didn’t work with Nataša directly, but we didn’t work in isolation either. I sent my text to the editor, who discussed the story with the art designer, who then briefed the artist. But I didn’t just write the words you can see on the page, because I have to think about the pictures as I’m writing, so I also put illustration notes in the text, saying what the picture will need to show in order to move the story on. However I’m happy to leave the look and the details of the pictures up to the experts, and I love the moment when I see the pictures for the first time! Our favourite illustration shows Kenneth and Ishbel riding on Nessie’s back. 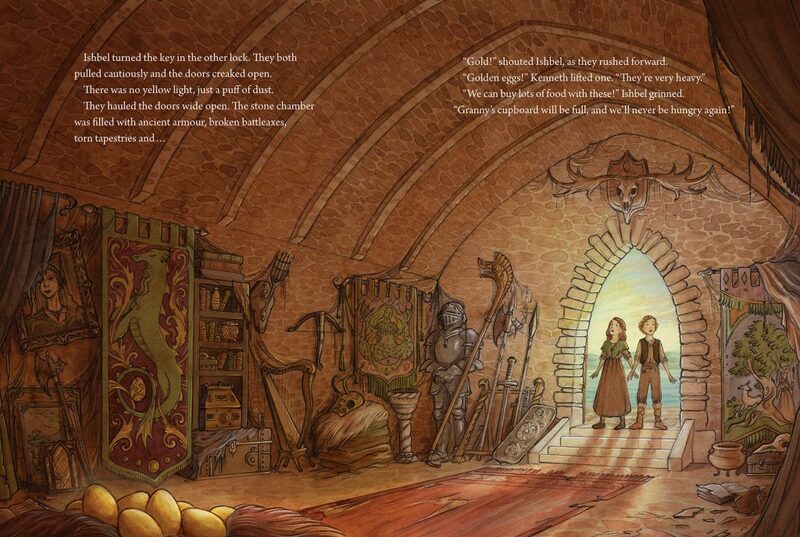 Which is your favourite illustration from the book? I love them all! Nataša’s pictures are so incredible that it’s very hard to choose. But I think my favourite is the treasure chamber under the castle, because all those fascinating objects make me want to write new stories. You have written books for children of all ages, from picture books to young adult novels. Do you have a favourite genre to write in? How different is the process of writing a picture book in comparison to writing a young adult novel? Very different. When I write a picture book I am telling one story, in a fairly straight line, and as I write I’m thinking about what the pictures will show, and trying to imagine a story that will give the artist lots of opportunity to create the most satisfying pictures. A novel, whether for 8-12s or teens, is also one story, but it is a longer and more complex story, and it has subplots and diversions and different arcs for different characters. Also, I usually know roughly where I’m going with a picture book, but I never know the end of a novel when I start it. Or even when I’m halfway through! So the writing process for a novel is both more spontaneous and more terrifying… Another big difference between writing for different age groups is how much sustained danger I can put the characters in, and how dark the ending can be. I would love to write at my desk in my calm quiet study every day. But in fact I spend most of my time out and about talking to young readers about stories, so I often write on trains and in school staffrooms between author events. And when I am at home, so are my family, who are fascinating and noisy, and therefore very distracting. So I often take my laptop to the attic or the shed, in order to find peace and quiet to spend with my stories. 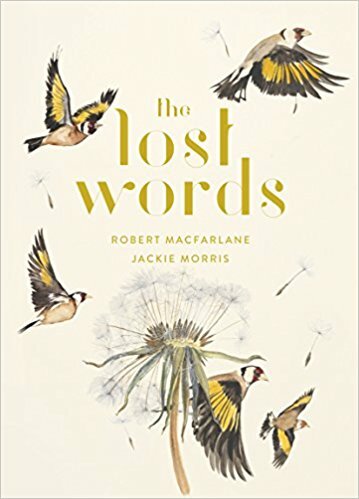 The Lost Words by Jackie Morris and Robert MacFarlane. It’s so beautiful, and yet so sad. Also, like all the best picture books, it’s perfect for prompting discussion and sparking imagination. Do you have a favourite childhood picture book? 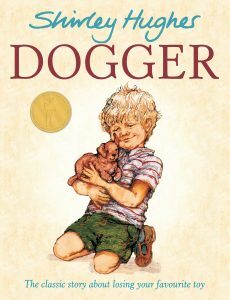 From my daughters’ childhood: Dogger, by Shirley Hughes. One of the most distressing, dramatic, emotional and satisfying books ever. From my own childhood: a whole shelf of Ladybird fairytale books. Those magical stories turned me into this writer. I can’t tell you much, I’m afraid! I am playing with lots of ideas this spring: I’m researching a picture book (lots of trees this time, rather than water) and I’m at the very start of developing an idea for an adventures series (I don’t even know the main characters’ names!) I’m also quite deep into a story that will probably turn into a YA fantasy, but I’m still letting the characters find their own path at the moment. It’s an exciting time for me creatively, but means it’s not easy to pin me down to genre or titles or even content! Thanks so much for your fascinating questions! You’re very welcome Lari! It’s always fascinating to hear what inspires authors to write a particular story. I found it very interesting to hear about the different approaches to writing picture books and novels and especially the fact that you don’t know how a novel will end when you start writing it. Lari Don grew up in the north-east of Scotland, and lives in Edinburgh. She has worked in politics and broadcasting, but is now a full-time writer and storyteller. Lari is the author of more than 30 books for children of all ages, including The Fabled Beast Chronicles and Spellchasers trilogy for middle grade readers, Mind Blind for young teens, and picture books The Tale of Tam Linn and The Secret of the Kelpie, and she regularly visits schools and libraries to share her stories. Almost all her books are inspired by her love of traditional tales, and absolutely all her manuscripts are covered in muddy paw prints from her helpful cats. The Discover Kelpies team are looking for young monster spotters to enter their Map My Monster art competition. To enter the competition for a chance to win a bundle of signed books by Lari Don just draw a picture of your local mythical monster on their special Map My Monster sheet. Don’t worry if you don’t have a local monster – you can borrow one from another place, or create your own! 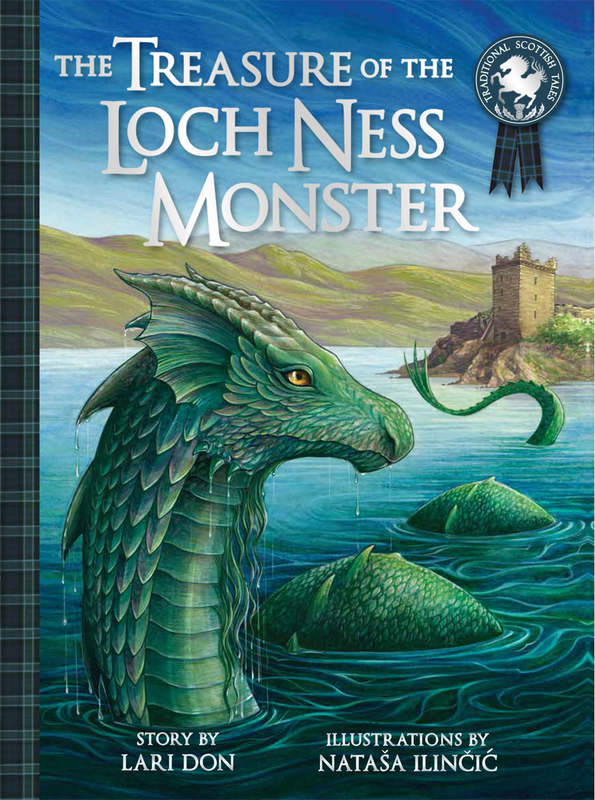 For more details visit Discover Kelpies Map My Monster competition page. I love the artwork, it’s gorgeous. It really is beautiful isn’t it. Nataša is very talented. 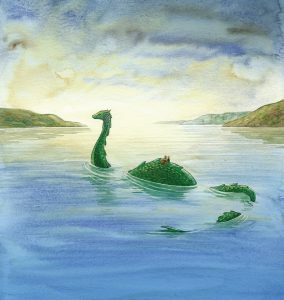 It is lovely to read a story about Nessie, especially intertwined with such magical qualities. I’m surprised that there aren’t more stories about her! Another really interesting interview. It’s incredible how many authors were prolific writers right from early childhood. 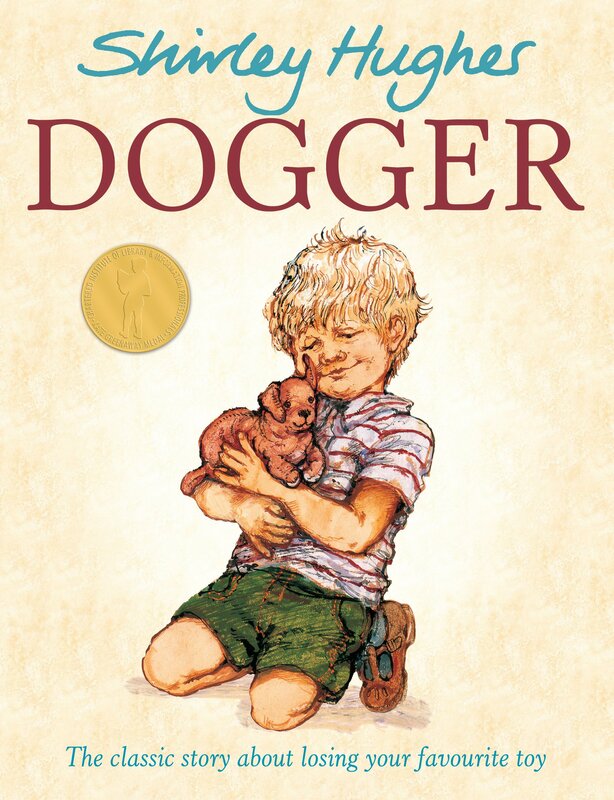 And I am totally with her on Dogger being a favourite book! I think I would still struggle to read it without crying now.